Visit Buffalo Niagara, a tour operating company, is organizing a trip to Toronto to pitch the Buffalo Niagara region. The meeting is held to push destinations in Buffalo and Niagara including visitor attractions, restaurants, hotels and stores to tour operators. The Made In America Store is pushing to be a destination in New York and the rest of the nation for people to visit. About 50 to 60 Tour operators in Toronto will be meeting with more than 20 organizations to pitch destinations in the Buffalo Niagara region. The tour operators take into account the points of interest and how far each stop will be. Tour operators decide where the buses are headed, the main attraction of the tour, the frequency of stops and other attractions along the way. Tour operators need to keep in mind bathroom stops, food accommodations and the trip itself has to keep the passengers interested. Keeping this in mind, tour operators need to be convinced that a certain visit is practical and a place travelers want to go. That's where the Visit Buffalo Niagara team comes in, to try and pitch destinations to the tour operators. The Buffalo Niagara region has plenty to offer bus travelers. From it's vast historic sites of the rust-belt and canals, numerous shops across the ares and casinos, tour bus operators have an array of choices and a days worth of fun to choose from. Potential travelers of these bus tours are looking for something fun to do, to get them out of the house and into different communities. A day filled with new places to go, things to see and something to bring home to talk about with their family and friends is what travelers are looking for. The Made In America Store offers travelers more than just a place to buy U.S. manufactured goods. The message alone interests people enough to draw them to the store. The mentality of buying American to support and create jobs is much more important than many people realize. The general idea of an American product is that it is built with quality to last, that time and effort was spent on manufacturing the product and that each item is supporting an American livelihood and feeding an American family. The Made In America Store also comes with a story about the American dream and the harsh realities of where our economy is going. Consumers visiting the store can relate with Mark Andol, the owner of the Made In America Store, that they too can feel the financial strain of the economy and slow job growth. The store has a message to help save and create jobs by buying American manufactured products whenever possible and to teach consumers to be aware of where the products they buy are made. Every bus that pulls into the Made In America Store is greeted by Mark Andol or a representative of the store and given a brief back story of why the store started. Customers are greeted and offered a free light refreshments and a bottle of water. Also when entering the store, each individual is given a special discount coupon for their entire purchase at the store. Upon leaving, the Made In America Store team gives every traveler a small American flag and are told thank you for keeping the American dream alive. The Made In America Store is devoted to selling 100% American made products, right down to the packaging. 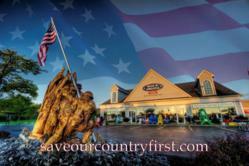 To find out more you can visit http://www.SaveOurCountryFirst.com and find a digital catalog of the items in the store. 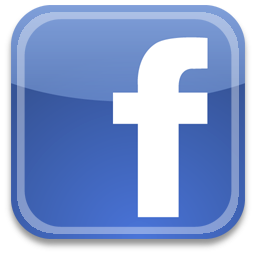 facebook.com/madeinamericastore'Like' Us On Facebook To Follow Events, Deals & Progress! https://twitter.com/#!/themiastoreFollow Us On Twitter! pinterest.com/madeinamerica/Come See What The Made In America Store Is All About! 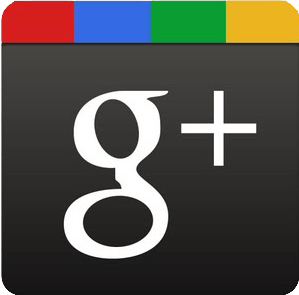 plus.google.com/u/0/b/101270819033766259381/101270819033766259381/postsFollow Us On Google+! foursquare.com/v/made-in-america-store/4c4629d5f5aee21edfa21758Friend Us On FourSquare For Special In-Store Specials!